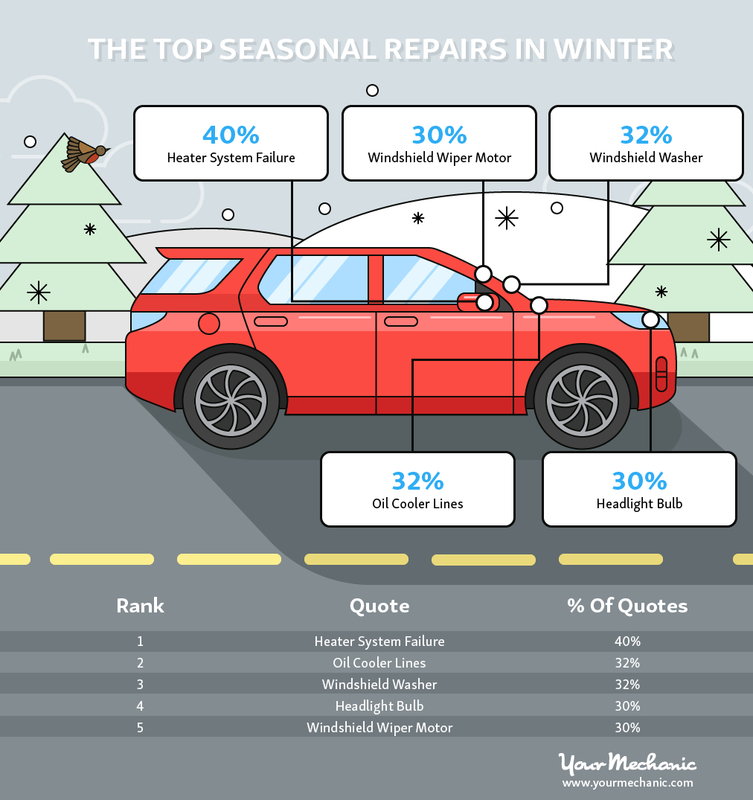 You are here: Home / News / America / What are the most common seasonal car repairs? 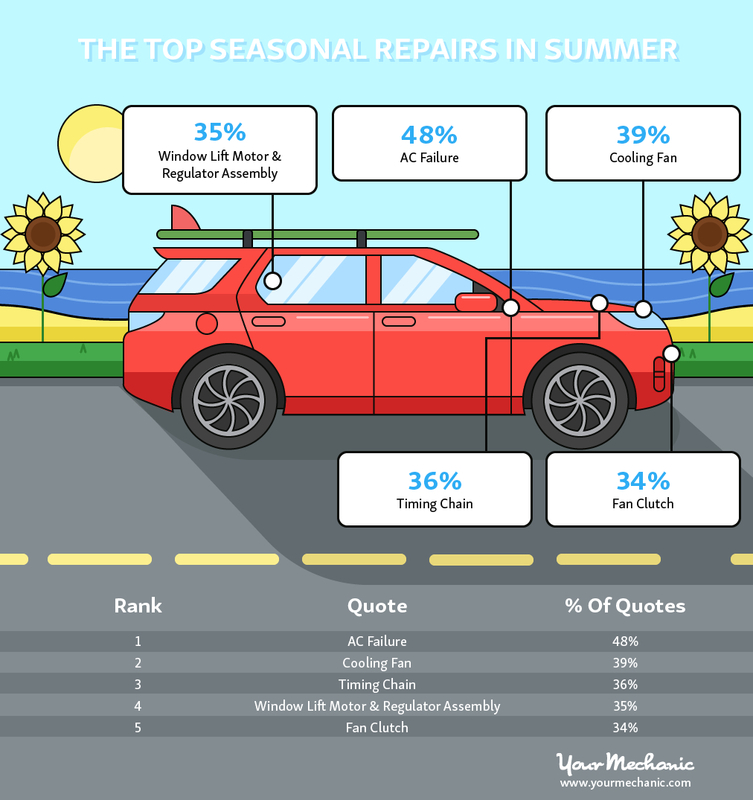 What are the most common seasonal car repairs? 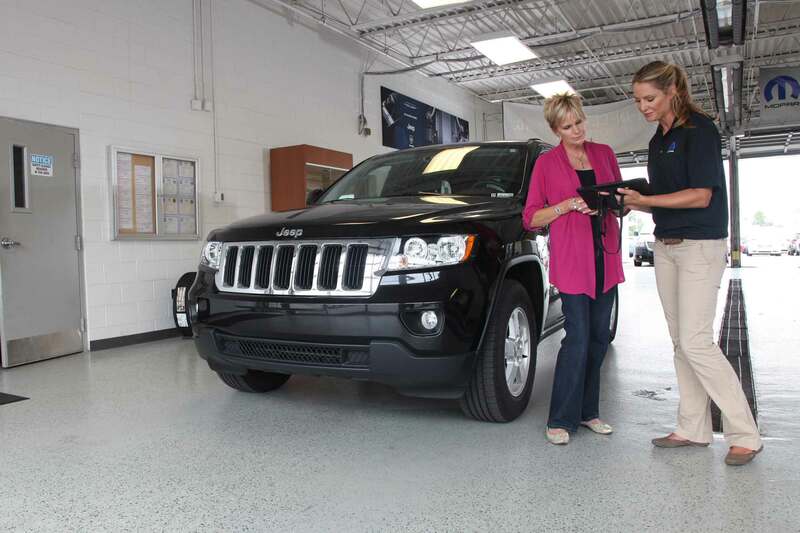 The best way to avoid costly repairs and inconvenient breakdowns is, of course, following the recommended maintenance schedule in the owner’s manual. Issues can be spotted during service before they become catastrophes. 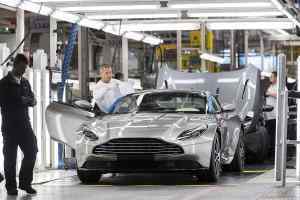 But the time of year also weighs heavily on cars. Different seasons can stress different systems, or make a problem more noticeable. For example, constant use of air conditioning during warm summer months might reveal a compressor problem. In fall, problems with the heating system may become apparent. YourMechanic has now identified the problems most likely to rear their heads at any time of year. It’s done this by keeping monthly track of the larger pool of repair quotes, rather than less frequent repair bookings. Let’s take a closer look by season. 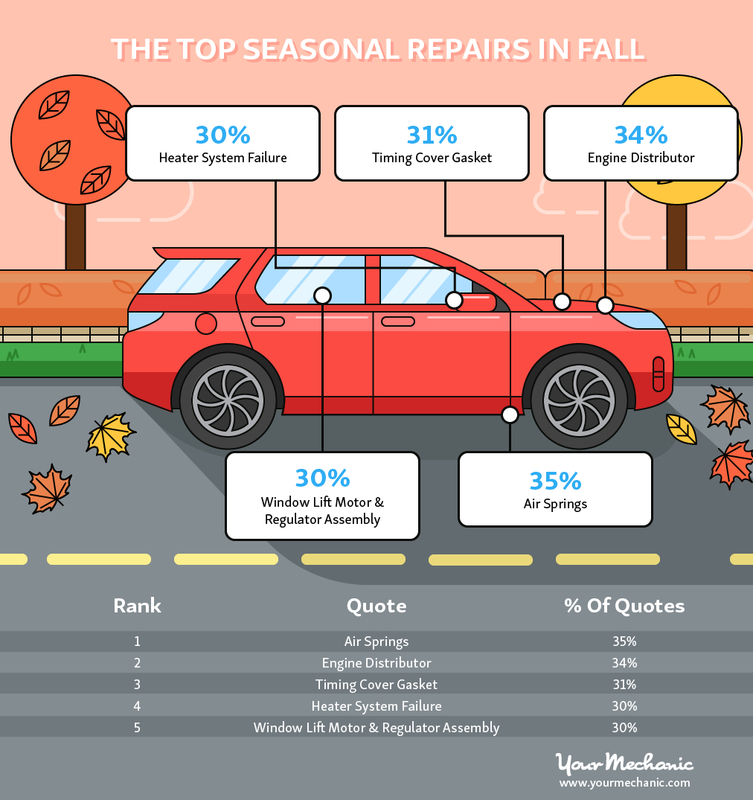 After a summer filled with road trips and outdoor adventure, suspension repairs top the list in fall. AAA found that 79 percent of respondents polled took their vacations on the road, helping to explain the result. Heater problems sneak into the top five rankings as folks fire up the furnace on the first frosty mornings, only to discover the pilot’s gone out. Window problems appear along with distributor and timing cover gasket issues, likely caused by the wear and tear of summer driving. The icy teeth of winter dictate heavy reliance on the heater and, unsurprisingly, that passenger comfort mainstay tops the list of winter repairs. Headlights and windshield wipers are in near-constant use, adding stress to bulbs and systems needed for visibility. Interestingly, lines for oil coolers and washer fluid fail. When the temperature drops, fluids thicken and place increased stress on these parts. Springs lightly turns one’s fancy to thoughts of fresh air, and finally rolling the windows down after a long dark winter can sometimes reveal that they will no longer roll up again. 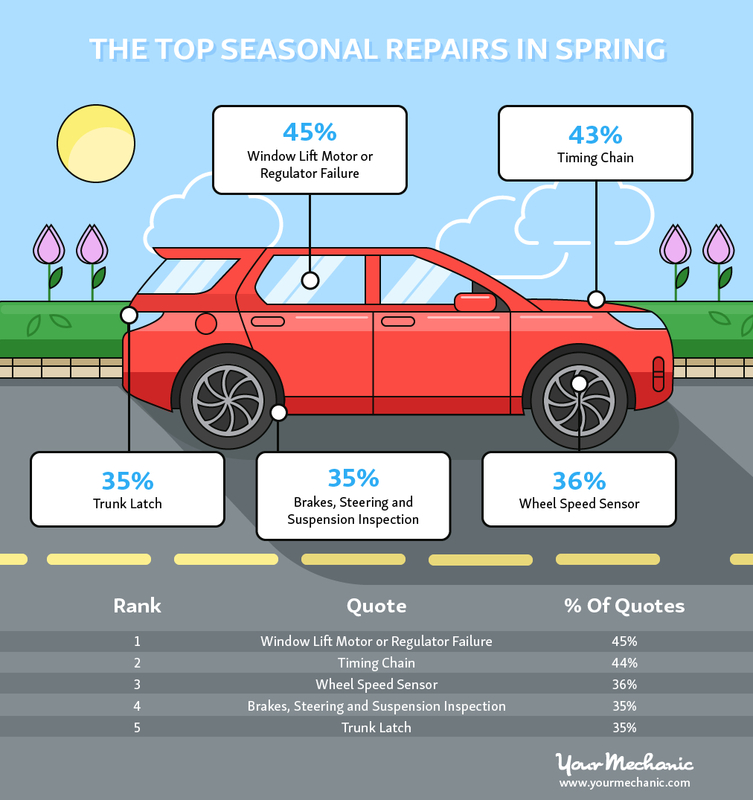 Pothole season can inflict damage on otherwise robust wheel sensors, and many drivers want the peace of mind of knowing their suspension and braking systems survived the cold season and are ready for summer trips. Timing chains seem to prefer to be changed in spring, perhaps as a result of increased dust and grit being ingested by the engine. Summer heat stresses the very systems designed to keep us and the car cool. Air conditioning failures top the repair list, followed by the fan used to keep the engine cool and the clutch used to engage it.Window problems persist as we roll them up and down in an attempt to find the perfect balance of breeze and climate control. Timing chain repair drops a place on the list, but increased mileage and trip planning necessitate maintenance. https://www.motoringresearch.com/wp-content/uploads/2018/08/1-Auto-Service-Write-Up.jpg 1667 2500 John Moroney https://www.motoringresearch.com/wp-content/uploads/2018/12/mr-top-motoring.svg John Moroney2018-08-30 10:16:342018-08-30 10:16:34What are the most common seasonal car repairs?